Rep. Raja Krishnamoorthi (D-Ill.) is a solar energy wonk. The first-term lawmaker, who led a technology startup for eight years before he came to Congress, can talk about the latest semiconductors used in solar panels, ticks off statistics about the exploding demand for solar workers and knows China is trying to dominate the market for sun power. "At the end of the day, from a very practical standpoint, the cost of solar power is going down rapidly, the penetration of solar into the energy landscape is accelerating and both red states and blue states are now seeing a renaissance in solar power," said Krishnamoorthi, 44, an ally of former President Obama who is one of only four Indian-Americans serving in the House. After arriving in Washington, D.C., Krishnamoorthi found that few lawmakers shared his interest in promoting one of the fastest-growing sources of alternative power. He hopes to change that with the creation of the Congressional Solar Caucus this spring — the only one of the more than 600 congressional caucuses that's devoted to solar energy issues. 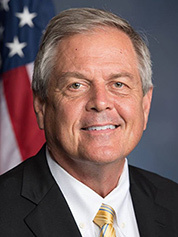 For his partner in creating the caucus, he picked an ideological opposite in Rep. Ralph Norman (R-S.C.), a first-term conservative who replaced White House budget chief Mick Mulvaney in the House last year. Christopher Mansour, the Solar Energy Industries Association's vice president of federal affairs, said he welcomes the caucus with "open arms." Mansour said it signals that "both sides of the aisle agree that solar is a growing, critically important part of our nation's electricity mix that strengthens America's communities from coast to coast." Krishnamoorthi and Norman believe a bipartisan approach will help grow the caucus, which for now is still recruiting members. They ultimately hope to host monthly meetings on solar issues and find ways to influence legislation. "I like the fact it's bipartisan; that's something we can agree on. The public always hears we are fighting; this is something we can get together on," said Norman, who spent 40 years running his family's construction firm before winning his seat. Norman believes expanded solar could help businesses reduce energy costs and might ultimately lead to more jobs related to building the panels and other installation equipment in his state. The Republican also knows he'll need to sell solar to a party that has traditionally been aligned with fossil fuel producers. "The energy companies in this country are going to fight it. They say they don't, but they do. It takes customers away from them. I get that — but what I want to do is help get the fixed costs [of solar] down so more industries say that's a good thing," he added. 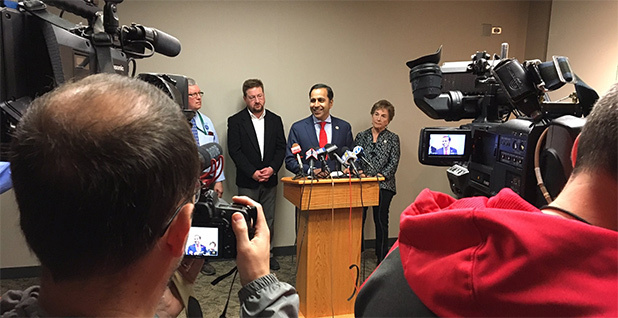 Early connections and some luck gave Krishnamoorthi his start in politics and solar issues. He is the son of immigrants who grew up for a time in public housing before getting an engineering degree from Princeton University and then attending Harvard Law School. While working as a law clerk, he met Barack Obama and worked on his failed 2000 bid to oust Rep. Bobby Rush (D-Ill.). Four year later, while also an attorney for Kirkland & Ellis LLP's Chicago office, he was an issues director for the future president's Senate run. Krishnamoorthi's engineering background proved helpful and led to his solar connection when he met physicist Siva Sivananthan, who ran a microphysics laboratory at the University of Illinois, Chicago. Sivananthan needed someone who could help market the lab's various technologies, including solar-related ones, and the lawyer with the science degree fit the bill. Krishnamoorthi would lead the business side of the lab for several years and create a nonprofit to train inner-city high school youth for solar technology jobs. Along the way, he lost a bid for Illinois state comptroller in 2010 and a congressional primary in 2012 before winning his suburban Chicago House seat two years ago. What are your goals for the Congressional Solar Caucus? I think right now we are still at the stage where we need to educate a lot of people about solar and clear up any misconceptions about it. To me, one of the biggest misconceptions is that solar can't survive without preferences, subsidies and other incentives offered by the government. I disagree. The cost is coming down so fast in this semiconductor base technology that regardless of what governments do, including our own, it will become and continue to be one of the fast-growing sources of power in the world. What are some caucus priorities? I don't think we should cut the [the Energy Department Office of Energy Efficiency and Renewable Energy's] budget as dramatically as the president proposes to do, because that is what helps funds technological innovation in the future. I think we should maintain a robust R&D budget for solar. Today, silicon dominates within the solar panel field, but for instance, cadmium telluride, cad-tell for short, is considered to be an up-and-comer. And indeed, it already is a very robust technological player, but there might be other very interesting technologies down the road, and they are being funded every day by the federal government. Another priority to me is making sure we try to harmonize regulations that might prevent solar from expanding as fast as it can. I think that different states have good intentions with regard to this. But it's also in part causing confusion and duplication. Are there ways to harmonize or make them more consistent? [Another] issue is, how do we upskill our workforce to take these jobs of the future? Between 2016 and 2026, the Bureau of Labor Statistics predicts that solar labor panel installers will be among the fast-growing occupations in America. Are you concerned with recent solar panel tariffs proposed by the Trump administration? I am very concerned about any foreign company or government pursuing a policy of dumping. On the other hand, if these foreign products are being offered at very competitive prices because [foreign companies] figured out a different technology and are doing it in a fair way, then I think opposing tariffs does the opposite, which is putting a thumb on the scale of a certain interest and basically penalizing others. I just don't think [tariffs] is a good idea, especially when it might stunt the growth of solar in the country. Will the caucus address the issue of tariffs? I suspect some people will want to bring it up, but I think that everyone is going to have their own view on it. And there is not much Congress can do to stop tariffs, right? The president has a wide berth in this particular area with regard to trade and commerce. What lessons did you learn from your work in the private sector? One thing I learned is that whether or not we as a country or government pursue the right policies with regard to solar, other countries elsewhere are moving forward very fast — China probably being the No. 1 country in this particular sector in terms of their ambition. They are doing everything in their power to own this solar sector. What lessons did you learn from Obama and his work on the environment? The one thing I learned from the Paris climate change accord and just the general effort to put us on a sustainable path is you have to have grass-roots political support. You have to develop support for it at a level and depth that will be immune to shifting political winds. That's what I think we have to do with solar, and we have to do that to make sure it survives the topsy-turvy nature of our politics in Washington.